The Global Public Policy Institute (GPPi) opened its Berlin office in October 2003. GPPi was founded to develop innovative approaches to effective and accountable governance, promote political and social entrepreneurship, and foster strategic communities that bring together the public sector, business, and civil society. Having experienced the lively think tank culture in the United States, Thorsten Benner, Wolfgang Reinicke, and Jan Martin Witte founded GPPi to bring some of that culture and vibrant policy debate to Germany and Europe and to offer a platform for entrepreneurial individuals interested in combining research, policy advice, and engagement in public debates. Established as a non-profit, independent organization, GPPi started off from an almost non-existent financial base, with no social venture capital at its back and the need to build a market for itself in Germany and beyond. A few milestone projects helped to get GPPi off the ground and grow through the years. GPPi emerged out of the Global Public Policy Project, a one-year effort to analyze the potential for networks between public, private and civil society actors to address global challenges, and to make recommendations to the United Nations. Based in Washington DC, the project was undertaken in 1999 under the leadership of Wolfgang Reinicke, who was then with the World Bank’s Corporate Strategy Unit. He assembled a team that included Jan Martin Witte, Thorsten Benner, Charlotte Streck, and Sören Buttkereit. The Global Public Policy Project was part of the UN Vision Project, which provided strategic guidance to assist the United Nations in reflecting on its global role at the turn of the millennium. The main result of the project was a report for then-UN Secretary General Kofi Annan. Published in 2000 by the International Development Research Centre, the report was titled Critical Choices. The United Nations, Networks, and the Future of Global Governance. Annan took up suggestions from the Global Public Policy Project in his Millennium Report, We, the Peoples. The Role of the United Nations in the 21st Century. For the first several years in Berlin, GPPi deepened its work on engaging business and civil society in multi-stakeholder networks for global governance, particularly global development. Our next opportunity to take stock of these networks came in January 2005, when the United Nations Global Compact Office commissioned GPPi to provide an overview of best practices, conceptual advancements and lessons learned from partnerships between the UN, business and civil society. Jan Martin Witte and Wolfgang Reinicke produced a study – Business UNusual – that sought to help UN practitioners to make partnerships work, as well as to leverage the instrument of partnerships to promote UN reform. The Business UNusual project was a milestone in GPPi’s work on multi-stakeholder partnerships in development. Based on this and earlier research, we were able to scale up our consulting services, helping governments and different UN agencies to improve their partnership strategies. This started with an international benchmarking exercise on the use of public-private partnerships in development cooperation; Witte and Markus Palenberg (who had recently joined GPPi) implemented this project for the German Federal Ministry for Economic Cooperation and Development (BMZ). After that, we supported the Global Compact Office in facilitating learning and promoting effective partnerships throughout the UN system. We conducted an evaluation of partnerships on climate change for the UN’s Office of Internal Oversight Services. And we helped UNICEF leverage cause-related marketing. In 2005, GPPi started to broaden its thematic reach toward issues of peace and security. The team developed a project called ​“Learning to Build Peace? The UN, Peace Operations and Organizational Learning.” This proposal won GPPi its first multi-year peer-reviewed academic research grant. Under the direction of Thorsten Benner, the project brought together Philipp Rotmann, Andrea Binder and Stephan Mergenthaler to analyze the UN’s record of learning and change in the decade following the landmark 2001 Brahimi Report. 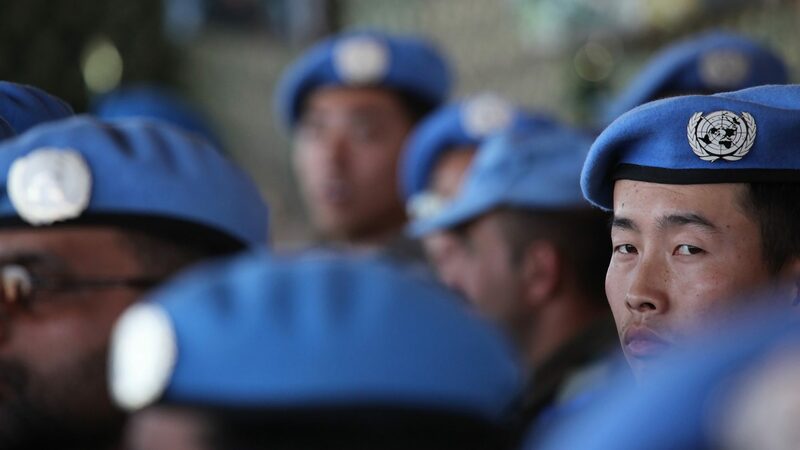 The team also sought to identify factors that helped or hindered organizational learning in a fragmented, highly politicized bureaucracy such as the UN peace operations system. Combining approaches from International Relations with organization theory, we developed a framework for analyzing organizational learning. Empirically, the study was one of the first to open up the ​“black box” of the UN peace operations bureaucracy and examine in detail internal organizational-political processes. The study included fieldwork in Liberia, Timor-Leste and Haiti. In addition to a number of academic papers and policy pieces on our findings, we published a book titled The New World of UN Peace Operations: Learning to Build Peace? (Oxford University Press, 2011). In 2007, GPPi launched the ​“Transatlantic Energy Governance Dialogues.” This comprised a series of small workshops that convened voices from government, international organizations, business and civil society. The project was led by GPPi co-founder Jan Martin Witte and initially funded by the German Marshall Fund of the United States. The conferences were a springboard for Witte, Andreas Goldthau and Wade Hoxtell to build an entire program around the issue area of global energy governance. The idea of ​“global energy governance” was to take a holistic view of the rules and constraints shaping energy markets and energy policies, bridging the traditionally separate perspectives on security, economic policy and the environment. With the book Global Energy Governance: The New Rules of the Game (Brookings Institution Press 2010), we produced the first comprehensive study of the institutional rules governing global energy and the prerequisites for constructive policy recommendations. After two books and 11 workshops, GPPi closed down its energy work at the end of 2013. We took that decision because key people driving this agenda had moved on, and we were unable to find a full-time intellectual lead for the program. At the same time, we continue to draw on the lessons learned: Our experiences in building strategic communities have shaped the way we carry out dialogue projects such as the Global Governance Futures (GGF) program. In 2009, GPPi and Groupe URD won a tender to evaluate the effectiveness of the Cluster Approach, a new system at the time for coordinating humanitarian assistance. This was a milestone project for the work that GPPi had been already doing on the politics and governance of humanitarian action. Led by Julia Steets, the evaluation team included GPPi’s Andrea Binder, Susanna Krüger and Claudia Meier; from Groupe URD there were Francois Grünewald and Veronique de Geoffroy, among others. This project led to a longstanding partnership between our two organizations. The evaluation’s six country reports and one summary report endorsed clusters as the right approach for strengthening coordination. The evaluation team also proposed concrete recommendations for improving the approach. As one of several results, the World Food Programme and the Food and Agriculture Organization of the United Nations agreed to create a joint global food security cluster. The evaluation directly involved most major humanitarian actors. As a result, GPPi quickly gained recognition in this area. The project also provided an impetus to expand our work on the theory and practice of evaluations. Launched in 2009, the Global Governance Futures program, or GGF, laid a foundation for our work on Rising Powers and Global Governance (now Global Order), and has become a prime example of our approach to building strategic communities. GGF was initially developed by Thorsten Benner, Björn Conrad, Johannes Gabriel, and Joel Sandhu. In its current form, GGF brings together young professionals from Brazil, China, France, Germany, India, Indonesia, Japan, South Africa, and the United States to look ahead 10 years and recommend ways to address global challenges. 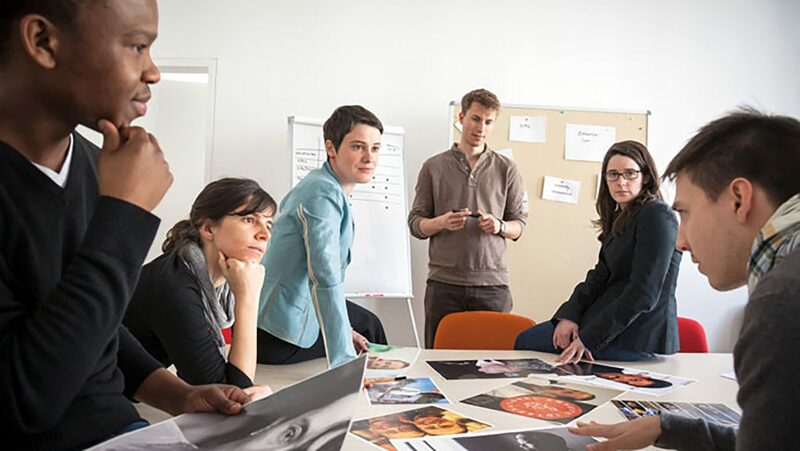 Supported by the Robert Bosch Foundation and initially co-funded by the Transatlantic Program of the German government, GGF draws on a steering committee and a group of academic and think tank partners based in each of the five program countries. A unique feature of the project is the GGF method, a custom set of trend analysis and scenario-building tools that helps the GGF fellows to combine their knowledge and cultural perspectives with their own normative convictions about desirable roles for and instruments of global governance. Based on the experience and expertise developed through GGF, we have begun to use similar tools for thinking in a structured and strategic way about the future in other projects. Since 2010, Andrea Binder has led a project with Claudia Meier and Julia Steets to better understand the norms, interests, policies and operational procedures shaping the humanitarian aid of selected non-Western donor countries. In collaboration with country experts from or based in their respective regions, GPPi has published a series of papers mapping and analyzing the humanitarian engagement of Saudi Arabia (by Khalid Al-Yahya and Natalie Fustier), India (by C.S.R. Murthy and Claudia Meier), and Turkey (by Andrea Binder and Ceyda Erten). The investment in co-authored research – which involves writing with a colleague from the region of interest – has proven so fruitful for GPPi that we invited partners from Beijing, Delhi, Sao Paolo, Rio de Janeiro and around Europe to take part in the project ​“Global Norm Evolution and the Responsibility to Protect.” Led by Philipp Rotmann, Sarah Brockmeier and Gerrit Kurtz, our team of 18 scholars from around the world analyzed how the role of Brazil, China, India, Russia, and South Africa (as well as Europe and the US) contributes to a less linear, more contested evolution of fundamental global norms such as sovereignty, non-intervention and the protection of populations from genocide and other mass atrocities. Lasting until 2015 and funded by the Volkswagen Foundation, this was our first large-scale collaborative research grant that involved institutional partners outside the US and Europe. In 2012, Katrin Kinzelbach was awarded a Schumpeter Fellowship for a post-doc research project on political prisoners and human rights compliance. The fellowship is a distinguished grant by the Volkswagen Foundation that supports new areas of research in interdisciplinary, innovative projects. It allowed GPPi to initiate a new issue area, human rights (now human rights and democracy). Katrin’s Schumpeter project builds on a long tradition at GPPi of inviting entrepreneurial academics to complement their individual research with team work in a think tank. Over the years, a number of PhD projects have been associated with GPPi, for example those of Julia Steets, Björn Conrad, Steffen Eckhard, Stephan Mergenthaler, Elias Sagmeister, Julian Lehmann, and Janika Spannagel. We continue to be interested in young academics at the pre-doctoral or post-doctoral level that bring their own projects. Their independent research is an important source for GPPi’s learning and growth. Today, after 15 years as a think tank based in Berlin, we work on research, policy advice and dialogue in six different areas of global governance: humanitarian action, peace and security, global order, human rights and democracy, migration, and data and technology politics. We see this diversity of topics and approaches as an opportunity to learn from one another and to cross-fertilize our work, while sharing an international outlook and a passion for understanding global challenges and contributing to effective and accountable solutions.